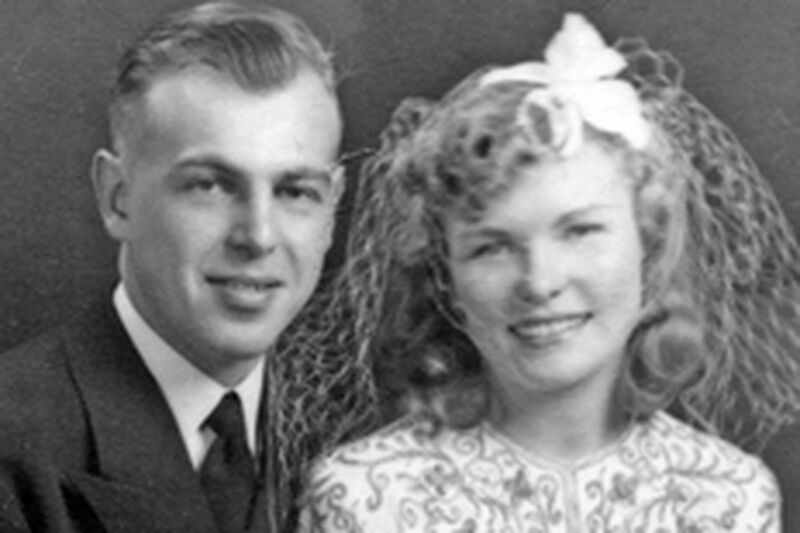 A. Richard and Karolyn L. Fitch were married in 1941. A. Richard and Karolyn L. Fitch were married for 66 years, raised nine children, loved art, and listened to opera together every Saturday afternoon. Mr. Fitch, 87, was a chemist who developed new types of paints and stains, and replicated colors of historic buildings. Mrs. Fitch, 83, was a volunteer, amateur actress, and former administrative assistant. He died of complications from prostate cancer March 1. She died March 5 from ALS, or Lou Gehrig's disease. They died in the West Mount Airy home they purchased in 1945. Their son David said family members were crushed by the loss but comforted that their parents were still together. "They had a dynamic, passionate relationship," he said. "They would not have wanted to live without each other." Mr. Fitch graduated from West Philadelphia High School and earned a bachelor's degree in chemistry from the University of Pennsylvania. He and his wife, who also grew up in West Philadelphia, married in October 1941. During World War II, he served in the Navy in the Pacific aboard the destroyer William D. Porter. In June 1945, he survived the sinking of his ship by a kamikaze plane. After his discharge, he worked for several paint firms, including Turco Paint & Varnish Co. in Philadelphia. He developed gel stains for Turco and historic paint colors for its Color Cupboard and Old Sturbridge paint lines. As a college student, Mr. Fitch helped restore Aspendale, a Georgian mansion in Delaware. He later formulated historically accurate paint colors for Independence Hall and for Gunston Hall, an 18th-century mansion in Maryland. In 1985, he and his wife moved to Easton, Md., and for more than 20 years he was consultant to the stain and varnish division for Bartley Finishes in Denton, Md. Mr. Fitch was an accomplished artist. His abstract paintings, sculptures and painted furniture were exhibited in galleries and are in private collections. He enjoyed cooking. Mrs. Fitch graduated from John W. Hallahan Catholic Girls' High School in Philadelphia. After raising nine children, she co-owned the Spindle Tree art gallery in Wyndmoor and later was an administrative assistant at Chestnut Hill Hospital and for a landscape architectural firm. She performed in community theater; volunteered with an agency that delivered food to the homebound; and was a volunteer reader to the blind. She recently had become a watercolorist. The Fitches moved back to the home in West Mount Airy they still owned when he became ill last year. She was diagnosed with ALS several months ago. In addition to their son, they are survived by sons Rick, Robert and Mark; daughters Jane, Judith, Christine, Toddy and Meg; 20 grandchildren; and nine great-grandchildren. A memorial Mass will be said at 10 a.m. April 20 at Holy Cross Church, 154 E. Mount Airy Ave.